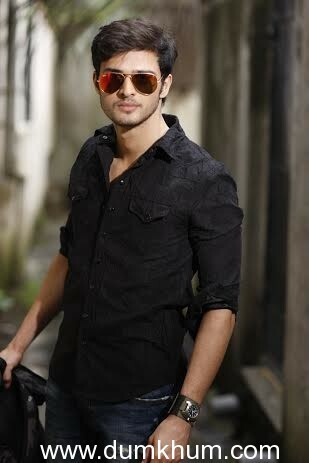 Handsome hunk Ajit Sodhi is going to make his debut with JP Dutta's new release "Border 2" along with some experienced and veteran actors like Sunny Deol and Suniel Shetty this year in 2015. Before entering into the creative world, he worked as a model and even walked in many ramps as he is blessed with good looks, fair complexion and toned physique that can make any girl crazy. Social activist and actress Nafisa Ali is Ajit's mum who is expecting that her son will blast the screen with his looks and charm in his debut movie this year in 2015. Nidhi Dutta who is the daughter of infamous director J.P Dutta is also going to make her debut this year opposite to Ajit Sodhi in movie "Jee Bhar Ke Jee Le.". Ajit's mum Nafisa is very close to Nidhi's family and both know each other very well since childhood. Ajit was born and brought up in New Delhi to social activist and former Miss India Nafisa Ali and retired Arjuna awardee colonel R.S Sodhi ( Also a famous Polo Player ) and is the only brother of two cute sisters Armana and Pia. Ajit is a Business Management graduate and very fond of entering into Bollywood since early. He has adapted all qualities of his mother since he used be very close and friendly with his mom since childhood days. Hi mother always encouraged him to do something good in film line as his mother was also associated with it. Some movies done by Nafisa are Junoon( 1979), Major Saab ( 1998 , Bewafaa ( 2005 ), Life In A... Metro (2007), Yamla Pagla Deewana (2010). Age - 22 years approx. As per the sources, Ajit is not dating anyone this time and only focusing on his career. We will update the information of relevance as soon as we get to know about it.